A few months ago we bought ourselves a Weber Baby Q. We have already used it lots when we have been away travelling. We have cooked some awesome roasts in it as well as using it for grilling things like steak and sausages. We’ve even cooked meatballs in it! Our recently purchased Weber Baby Q. But I have really wanted to see what else I can cook successfully in it. The Weber is what we will mainly use for cooking when we hit the road as we have chosen not to put an oven in our caravan. 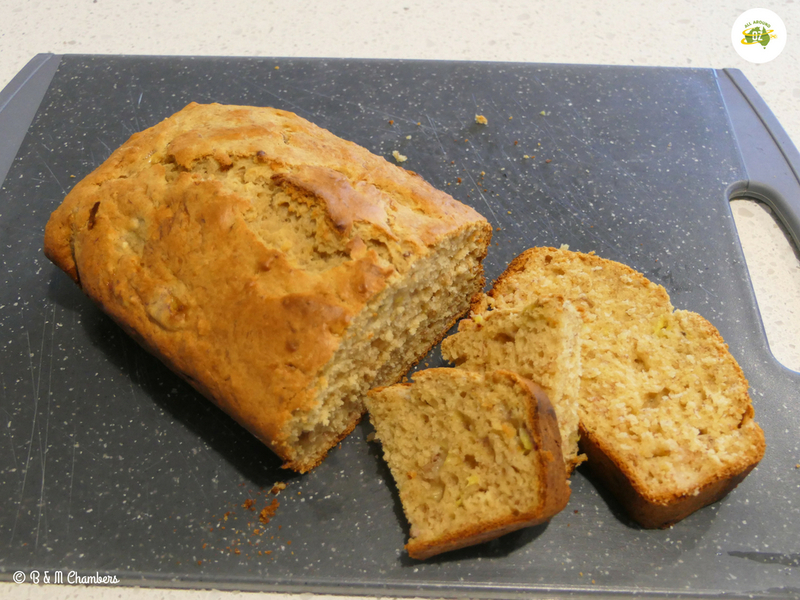 I had a couple of brown, soft bananas sitting around on the kitchen bench so I thought I would give Banana Bread a go. It’s one of our favourites and also uses up the soft bananas so they are not going to waste. The mixture ready to go in the Weber. And guess what? It turned out perfectly! Here’s the recipe for you to try. You can DOWNLOAD it as well as watch how it all came together on You Tube. 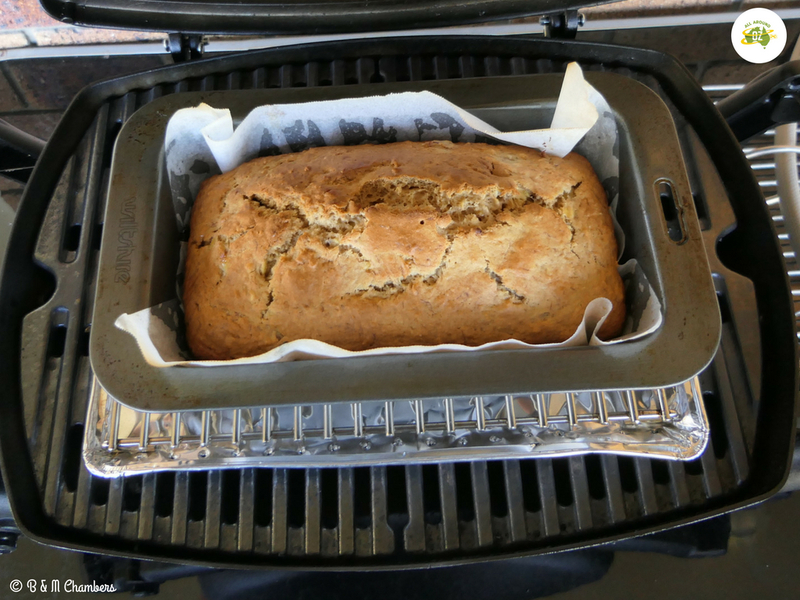 We pre-heated the Weber for 10 minutes prior to putting the Banana Bread in. We then turned the temperature gauge down to the lowest setting. We know the Weber can get pretty hot and I didn’t want the bottom of the bread to burn before the rest cooked. The finished product ready to come out of the oven. Pre-heat your Weber BBQ on high for 10 minutes. 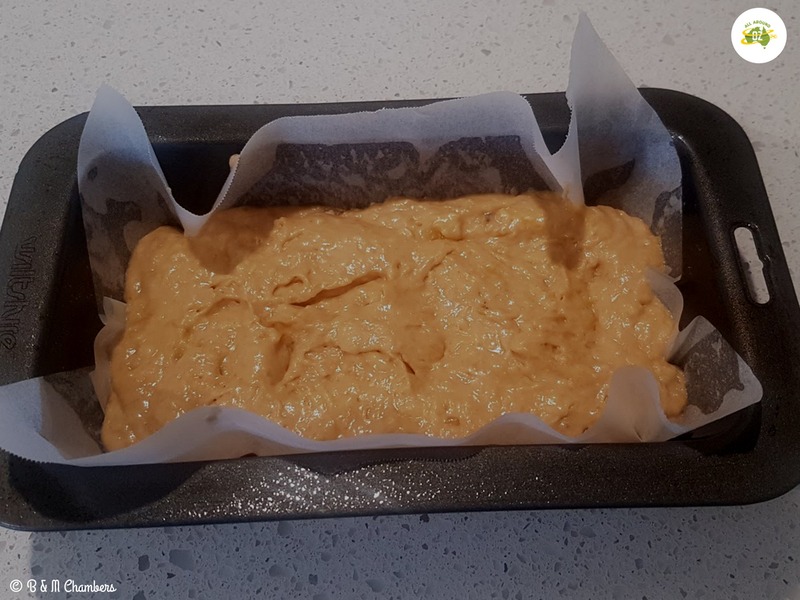 Line a 21cm loaf tin with baking paper and spray lightly with cooking spray. Add the milk, mashed bananas, eggs and butter to flour mixture and stir until combined. Turn Weber down to the lowest point it will go to. Place loaf tin on a trivett with a heat diffusing tray underneath. Cook for 50 minutes or until a skewer stuck in the centre of the loaf comes away clean. Serve warm, plain or with a lick of butter. Enjoy! The finished product was delicious. 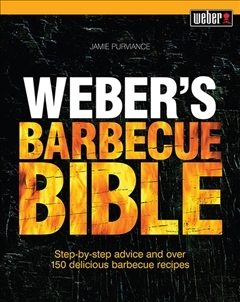 If you want some more awesome recipes then check out the Weber Barbecue Bible. Brenden got a copy for Christmas and it has some awesome recipes in it and so many that we want to try! Yes I’m keen to experiment a bit more too. We’ve done a few roasts in it and they are so yummy!